Full systems and slip-ons available for the Yamaha FX Nytro. 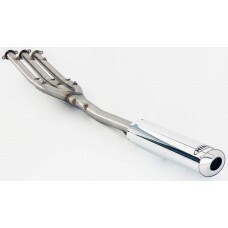 Hindle Exhaust Slip-on on for the 2008-2011 Yamaha FX Nytro. Keeps the stock exhaust front section and eliminates the stock mid-pipe and stock muffler. Please note: muffler is sold and priced separately. Hidden 16" Muffler: retains the stock side panels and keeps the muffler hidden under the seat. Uses a 16" muffler. Under 16" Muffler: eliminates the stock side panels so that the Hindle muffler is exposed. 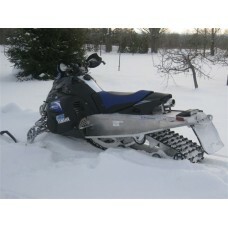 Full Hindle Exhaust System available for the Yamaha FX Nytro. Eliminates the entire stock exhaust system and muffler and replaces it with our super lightweight stainless steel front section and your choice of muffler. This full system gained approximately 18hp with Air Box Mod from Hurricane Performance and a Power Commander©. Please note: muffler is sold and priced separately. Hidden 20" Muffler: retains the stock side panels and keeps the muffler hidden under the seat. Uses a 20" muffler for a more quiet sound.